Unless you’ve been living under a rock the past few months, you’re probably aware of a major event coming up on August 21st: the 2017 total solar eclipse. This year’s solar eclipse will be one for the record books. If all the predictions are true, towns small and large that fall in the path of totality will be packed and roads will be a nightmare. 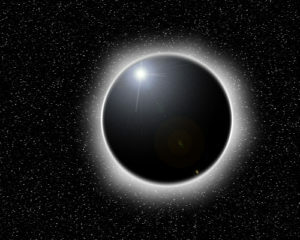 It is estimated that this will be the most viewed solar eclipse in history. Essentially, patience is absolutely crucial for this, as is preparedness. If you haven’t already made travel plans, you’ll need to get a little creative and start planning right now. This site has a comprehensive overview of each state that falls in the path of totality. You’ll see that each state’s page includes communities in the path. While it’s pretty much guaranteed that all lodging is either completely booked or outrageously expensive, there are some other options to consider. Many of the states in the path of totality have some remote areas where viewing will be outstanding. Consider planning a hike or a camping trip to one of the regions least likely to be full. Or, if you can make it into a day trip, leave early and drive to a viewing area. Keep in mind, however, that there’s simply no way to know exactly how busy any area will be. And if the high end of estimates is correct, millions of people will be traveling to areas in the path of totality. Even if you are well-prepared, have all your arrangements confirmed, and have taken the time off work already, you’ll still want to have a backup plan in place. Again, there’s no way to know for sure just how many people will be traveling, but it’s safe to say there’s a good chance traffic will be awful and travel plans will be delayed. Prepare for the worst case scenario now to avoid missing out on the eclipse due to unforeseen snags. Travel isn’t essential in order to enjoy the 2017 solar eclipse. You might be lucky enough to be in the path of totality (or very close to it), or you could just decide not to mess with the chaos of travel and just stay where you are. You’ll still get to see a partial solar eclipse, which is still a neat experience. No matter what you’re doing on August 21, you absolutely must have equipment in order to view the eclipse. The first and most important piece of equipment you’ll need is solar eclipse glasses. You can find these online, but many libraries and community centers are giving them away, too. Pick them up soon – they are likely to become a hot commodity in the weeks leading up to the eclipse. It’s essential that you have eclipse glasses to view the eclipse. Those in the path of totality can remove their glasses only during totality. The rest of the time, glasses must be worn in order to avoid damaging your eyes. If you’re not in the path of totality, be sure to keep your glasses on the entire time. While you don’t need additional equipment beyond eclipse glasses to see the solar eclipse, extras can enhance the experience for you. Binoculars are a great way to look at the beautiful solar corona (the aura around the sun, visible during totality). There are binoculars specifically designed for eclipse viewing, but using traditional binoculars works just fine as long as you add a filter. As we’ll explain, all your equipment needs to be equipped with a solar filter to avoid damage. If you only look up during totality, you can get by without the filter, otherwise be sure to find a filter. There are sheets that let you create your own, or you can try universal lens filters. Using a telescope during the total eclipse can be a cool experience. You can use either binoculars or a telescope to create a projection (a fun activity with kids). But you also can use a telescope during totality to get a look at the solar corona and at the skies around you. If you do not have a telescope already equipped for solar viewing, you must fit it with a solar filter in order to avoid damaging it. Solar filters for telescopes are more specific than what we mentioned above for binoculars, so you can find the right filter for your aperture. This one, for example, fits 66-94 mm aperture telescopes. No matter where you plan to enjoy the eclipse or what (if any) additional equipment you’re using to make the most of this historic event, prioritize safety. There is plenty of good information available online and at libraries, schools, museums, and other locations in your community. Knowing how to view the eclipse safely is the most important part of the day. Be sure to have your eclipse glasses, and DO NOT take them off until totality occurs – this means that if you’re not in the path of totality, your eclipse glasses MUST stay on! If you’re using equipment, take care to ensure no one uses it incorrectly – eclipse glasses should stay on even while looking through the lens. Also, watch for other potentially damaging concerns – magnification of the sun through a lens can start a fire, for example. Plan ahead, stay safe, and enjoy the 2017 full solar eclipse!